Stories selected and translated by Khushwant Singh Pages 199. Rs 175. Satyajit Ray translated by Lila Ray. All titles: Orient Paperbacks, New Delhi. Indian readers of Hindi fiction must be familiar with Premchand’s Nirmala. 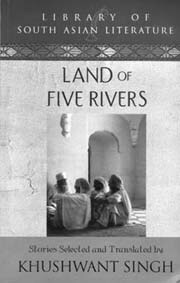 First published in 1927, it is the story of a young girl who, married off to a widower with three sons, suffers a series of miseries and an eventual catastrophe. The book under review is a translation of Nirmala with a changed title. It might not fall with Godan in the category of classic novels, but with the upsurge in feminist literary theories and keen postmodernist interest in woman-oriented literature, Nirmala occupies a privileged position. Its unique relevance to feminist literature can be gauged from the fact that it was originally serialised in a women’s magazine, Chand. The translation is welcome. There is a charm and a necessity in presenting an important periodic but modernist novel to a much wider audience, even though only the audience of non-Hindi readers, for I do not feel the presence of Premchand and his era here. The translator has done his best, of course, by experimenting with forms of narration, native vocabulary, and person. 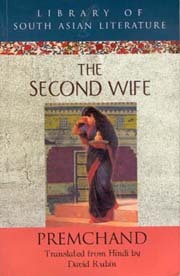 Would Premchand himself have approved of the change of title from Nirmala (the pure one) to The Second Wife? For Khushwant Singh, there is always something "distinctive" in the stories of writers born in the Punjab. While male writers present a "macho image with a touch of naivet`E9 simplicity, a modified version of the Nihang", the Punjabi women writers "paint on a larger canvas (and are) less inhibited in expressing their emotions". Out of the nineteen stories in this compilation, only three are by women writers and we might only partially agree with Khushwant Singh, since the stories written by men are passionate tales; albeit, the modified version of the "Nihang" is very much in evidence. It is just because of this passion that rears its hood in so many devious ways that this compilation has become an absorbing treat. Poignancy here issues out of a strong sense of uprooted-ness and, since most of these writers (Saadat Hasan Manto, Amrita Pritam, Rajinder Singh Bedi, K. A. Abbas, Krishen Chander, Balwant Gargi, Yashpal, Upendra Nath Ashk.) were born before 1920, this sense of uprooted-ness has coiled itself vehemently and specifically around the traumas of Partition, lunatics’ debate and the wisdom of Partition. The abducted women are rehabilitated, but not accepted; a Sikh’s sacrifice makes his white beard effulgent with divine light. There are other themes as well: moonlight-flecks force a ravishing woman to commit adultery; a man cannot celebrate the ritual of his nuptial-bed because of mother-fixation. With pleasure, we go through the translations, as the workmanship here is much better than what Khushwant Singh chooses to dole out in his casual weekly columns. 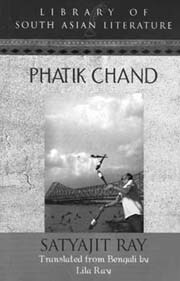 Phatik by Satyajit Ray is a straightforward story. A boy (Phatik) is kidnapped. Subsequently, he escapes, but his memory is lost. He comes into contact with Harun Rashid, a juggler-boy, who restores Phatik to his parents, but does not accept any reward. The story moves on expected lines and there is little charm in that quarter. What we can enjoy here are a few isolated dramatic scenes, some of which have been rendered using the technique of the stream of consciousness. It would be better to see the movie based on this text than read it.